We provide quality crane trucks for your projects. 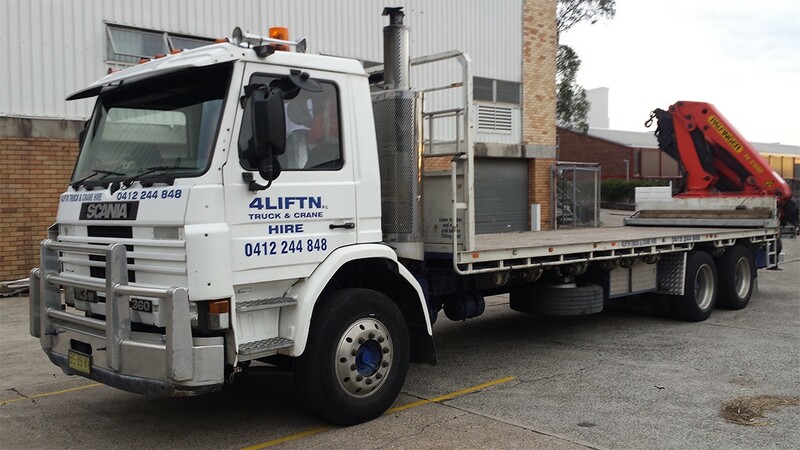 Our crane trucks are completed with air bag suspension and able to carry up to 10 tonne. They are perfect for construction projects which need to carry heavy loads and items on the site. Crane trucks at 4LIFTN have variety of lifting capacity. Choose the ones that will suit your needs at our place. » Rigid crane trucks with air bag suspension. » 10 tonne carrying capacity. » Up to 8.2 metre trays. » Rear mount Palfinger cranes up to 36002 with overload protection. » Lifting capacity, 8 tonne at 3 metres, 1 tonne at 18 metres, 600 kgs at 25 metres. » Fitted with a winch with a lifting capacity of 2.5 tonne.